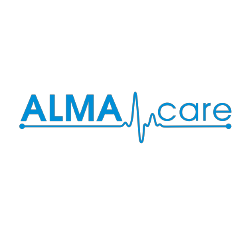 ALMA.care is a Health as a Service IT company headquartered in Belgium that focuses on telehealth to empower customers in the healthcare process. By monitoring and analyzing your health 24/7 we can provide you with actionable insights and give you alerts to tackle problems before they even appear. This way, we enhance the switch from reactive intervention to proactive risk management. The first ALMA.care product is ALMA Fit and focuses on Corporate Health for healthier and more productive employees. ALMA Fit monitors mental and physical health real-time through a number of physiological parameters and ensures that employees get professional help well before stress adds up and grows into a burnout.